When bee keepers take pictures of frames of honey or brood, they typically capture the surface of the frame from the front. 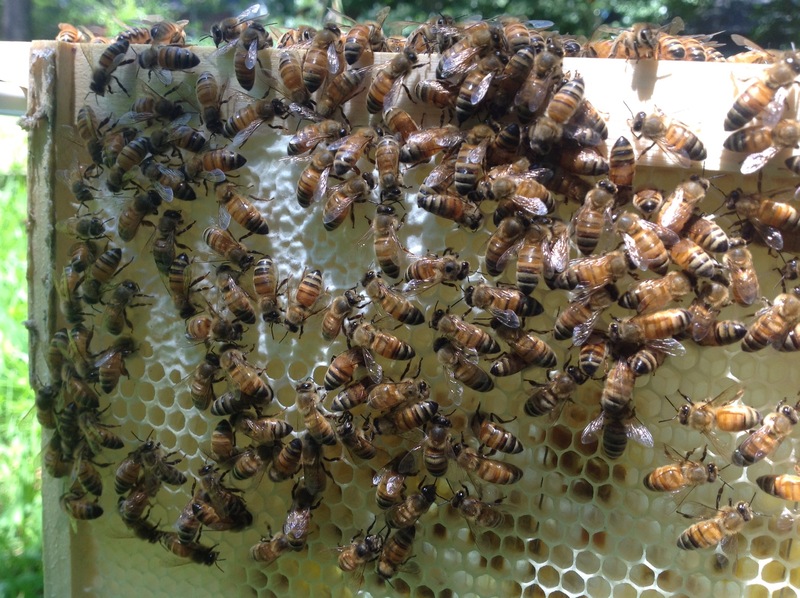 This shot shows the bees’ work producing honey or rearing brood and can help document success and failure. 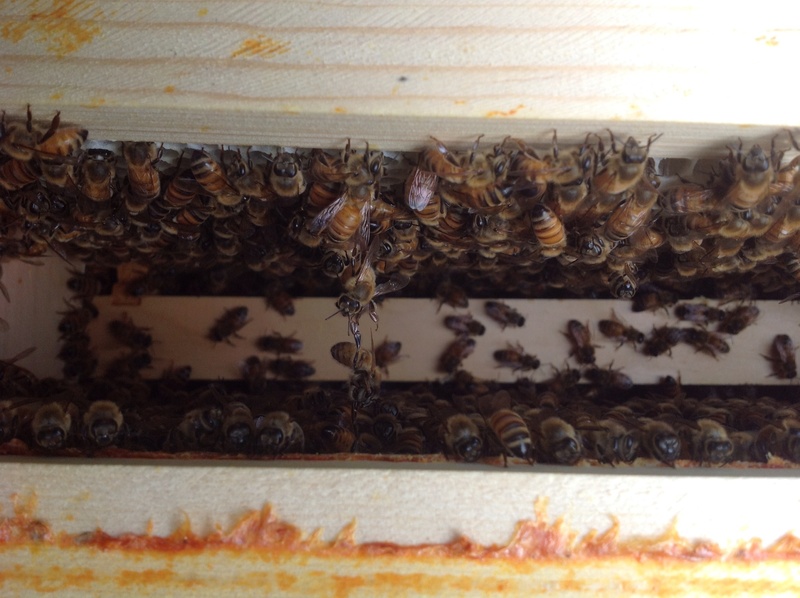 The picture above offers a unique perspective–a bird’s eye view of the frame looking down into the hive. The bees look like a carpet on either of the visible sides of a frame. If you look closely, you’ll see two cliffhangers. Though they look like they are holding on for dear life, avoiding a fall to the next hive body, they are merely connected. Bees often hold on to one another, and if they are moved, they adjust accordingly. Just last night, I lifted the screened inner cover to find a six-inch chain of bees dangling from the center. The first time I saw this behavior in the hive I thought the bees were stuck, or had some other problem. Since then, I have added the behavior to the long list of qualities I appreciate about honeybees. this is an amazing vantage point!